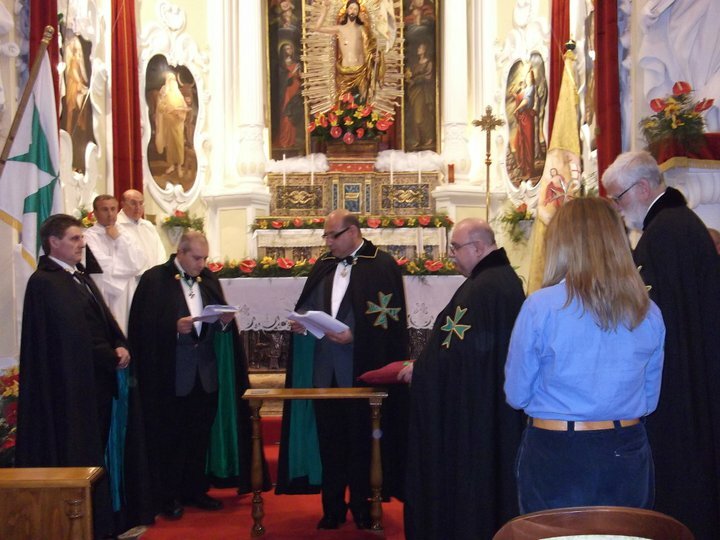 The investiture of the Grand Priory of Sicily was this year held in the beautiful elevated city of Enna. 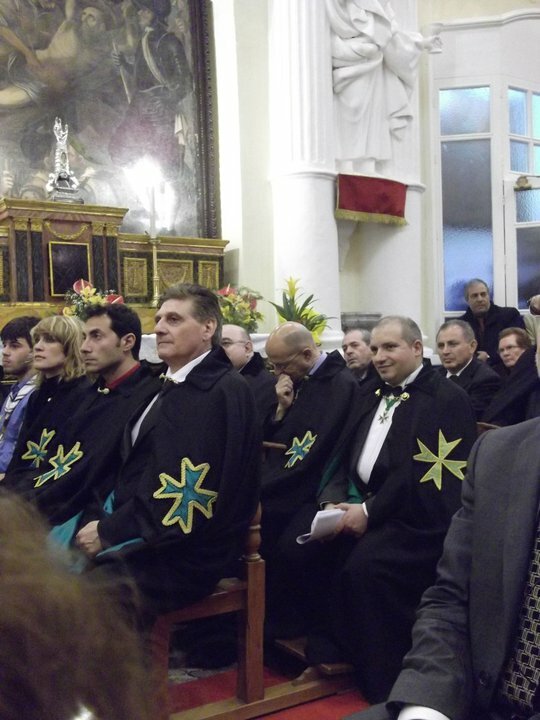 A large delegations of Lazarites from a number of jurisdictions were present for this truly remarkable investiture, specifically because the investiture itself brought to a close a week long series of activities which were organised in order to celebrate the 750th anniversary of the founding of the Confraternity and Collegio S.S. Salvatore in Enna. 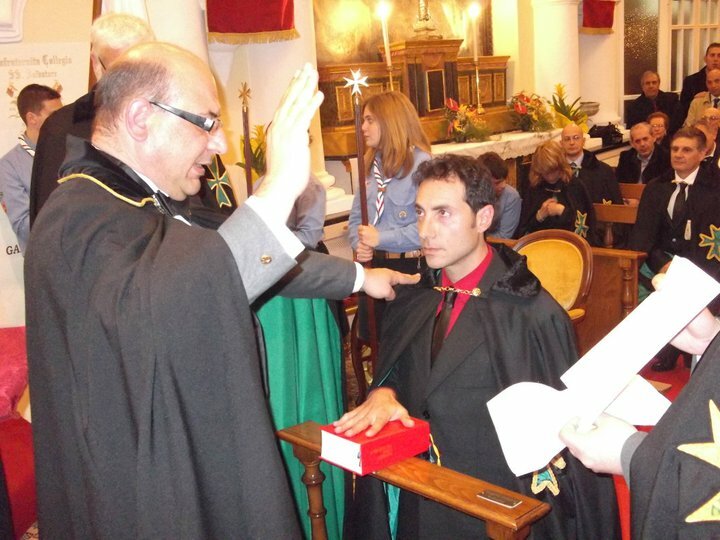 This makes this specific confraternities the oldest in Italy and the Order of Saint Lazarus is proud to be closely associated with such a historically and spiritually rich religious organisation. 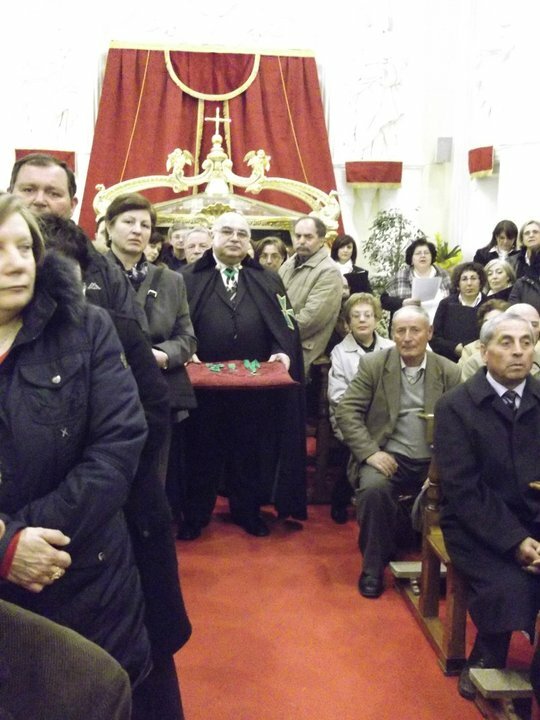 The investiture was held at the very same church dedicated to the S.S. Salvatore in Enna, in front of a jam-packed congregation. 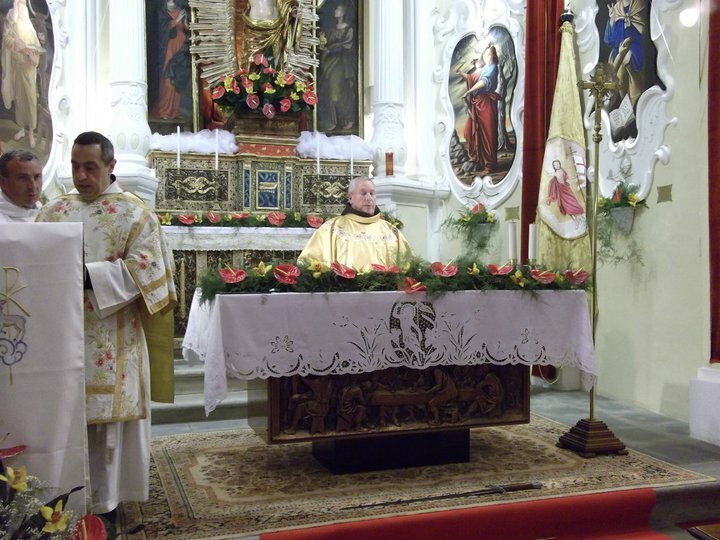 Padre Pietro Marco ensured that the investiture was witness to a remarkable and beautiful celebration of mass in his own unique manner. 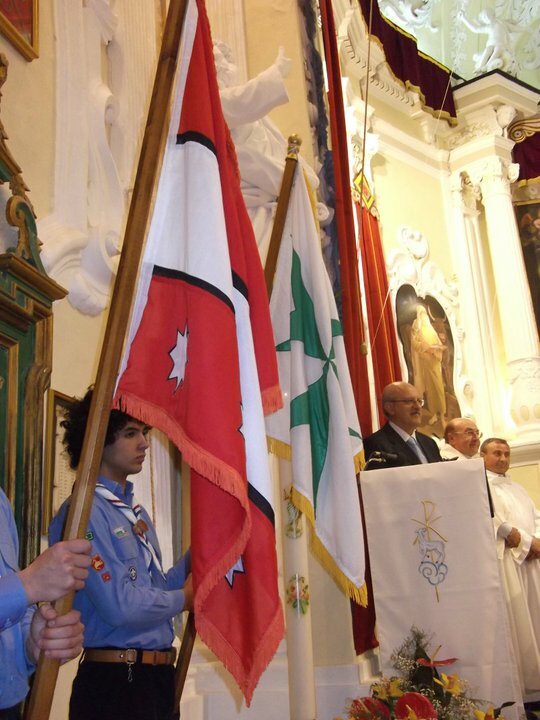 The investiture also featured the blessing of the colours of the Order amid an enthusiastic delegation of Enna Scouts who were essential in ensuring a successful event. 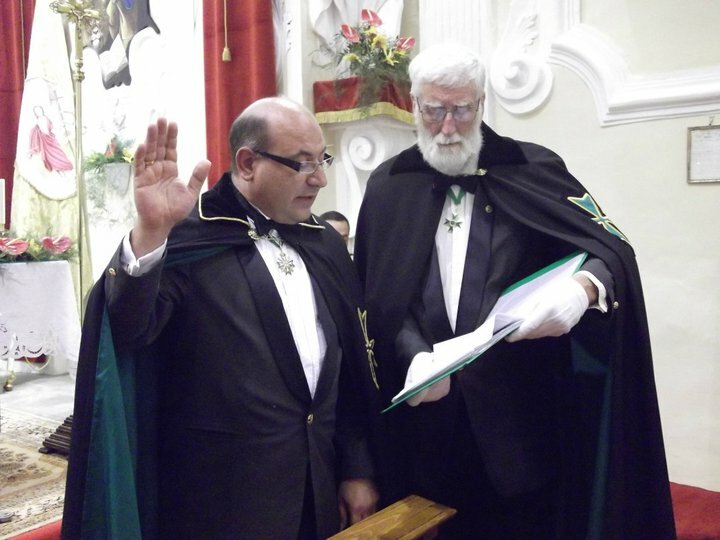 By decree of the Supreme Grand Priory, Chevalier Gaetano Tamburella KLJ was appointed and consecrated as the new Grand Prior of Sicily and a number of male and female postulants were admitted into the Order. The event was covered by regional television and a number of local and foreign dignitaries were present throughout the investiture. 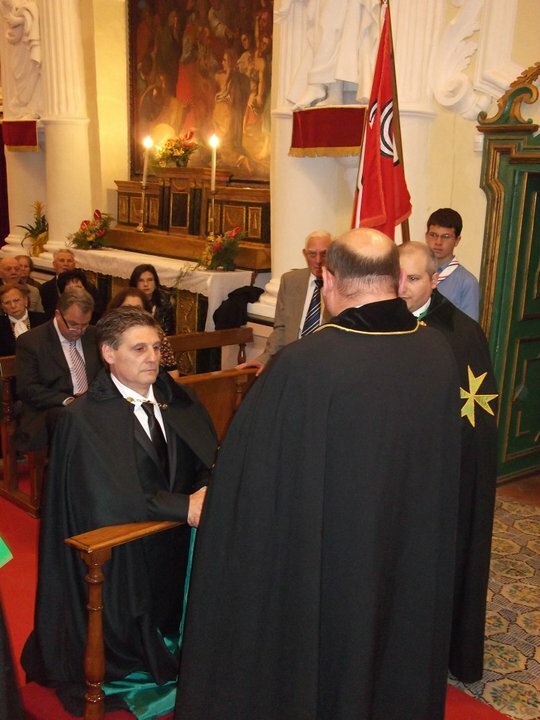 The Supreme Grand Priory was represented by the Grand Chancellor, who was also aided by a deputation from the Grand Priory of Gozo and the Grand Priory of Malta who were also present. After the investiture, the municipality of Enna, under the Mayor of Enna, hosted the various Lazarite delegations to a concert of Italian music in their honour at the city hall. 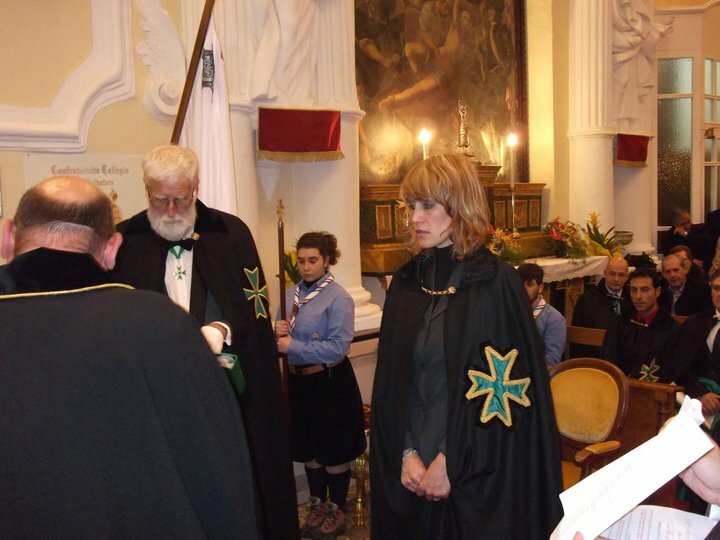 At the city hall, the committe of the Confraternity of the S.S. Salvatore were also honoured by the Grand Chancellor, who presented to them the eight pointed cross of the Order. An investiture dinner was later held which included a vast array of healthy Sicilian food washed down by the best Sicilian wine. A truly memorable investiture and congratulations to the Sicilian team.